“Love, Serve, & Care,” the motto that has truly yielded outstanding results! 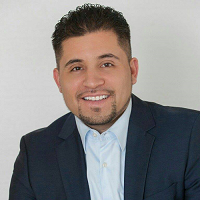 With 10 years in the real estate industry-Luis Ortiz continues to flourish as one of the Top Agents in the Illinois market! His dedication & determination to succeed exudes in his customer service and ever growing track record! With a team of 10 by his side-his knowledge base continues to flourish while a making difference in the community! Clients are seen as family-not just a transaction! Due to his continued success in the industry, he has been so fortunate to be welcomed into the RE/MAX Hall of Fame, received the RE/MAX Titan Award, & ranked #12 in the Top 100 Teams in the RE/MAX Brand! Chicago Association of Realtors has awarded him the Platinum Award, Neighborhood Top Producer Award, & the Top 1% Sales Agent in the Berwyn/Cicero/Stickney Areas-5 years in a row! NAHREP has also recognized him as the #23 Latino Agent in the Nation! On July 27th, 2017 Luis fulfilled a lifetime goal of owning his own RE/MAX Office in Berwyn, Illinois. His dedication to serve the community & empower growth amongst his team-has catapulted into his dream coming true. As he continues to learn, grow, and inspire others-his success soars! Making a difference in the Community is his top priority & his Clients truly feel that he loves, serves, & cares about them.